Temperatures are on the rise at Lake Hartwell, and lake lot sales are heating up as well. Educated buyers are snapping up the best values, and now could be the best time to lock yours in. We want to provide all the information you need on each property in advance of your visit. Don’t be sucked into misleading marketing and high pressure one day sales. 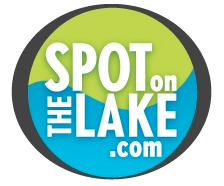 We have helped 60 people buy or sell on the lake already this year. See what they are saying here. We had to expand our grid to 16 properties this week to show you the full range of best buys and a couple that have just recently gone under contract. All properties are lakefront with slip docks in place or approval for a slip dock. Let us know what floats your boat!